Ooh La La! Heatheridge Estates’ Makeover is Complete! There's nothing like a makeover! So, imagine when the makeover is for two entire apartment buildings! That's exactly what happened at Heatheridge Estates located in southwest Edmonton, and the team couldn't be prouder of the outcome. "We really have our team to thank first," says Roxanne Johnson, Property Manager for the Kelson Group Alberta portfolio of apartments. "Val, Ken, Alex, and others on our Kelson Group team were instrumental in making these renovations seamless. In addition, our residents were incredibly cooperative and understanding of the construction and are now loving the changes to the building." The renovations were extensive and built upon some upgrades from the previous year. One project had the Kelson Group Alberta Team get together and build a Community Garden for residents. The company also recoated the on-site outdoor swimming pool and replaced one building's boiler system. During the same period, two of the buildings at Heatheridge Estates had new windows and patio doors installed, balcony decking and rails, and siding. The ever-popular residents' amenities room now has a new roof, the rental office has a new awning, and new sidewalks have been installed around the property. "We are thrilled with the fresh, new look of Heatheridge Estates," says Johnson. "Not only does the property look even better, but our residents are already talking about how the new windows and doors muffle exterior noises, making their suites even more comfortable AND the envy of their friends. It's beautiful!" The upgrade is part of Kelson Group's ongoing commitment to always be enhancing the look and quality of the buildings in its portfolio. 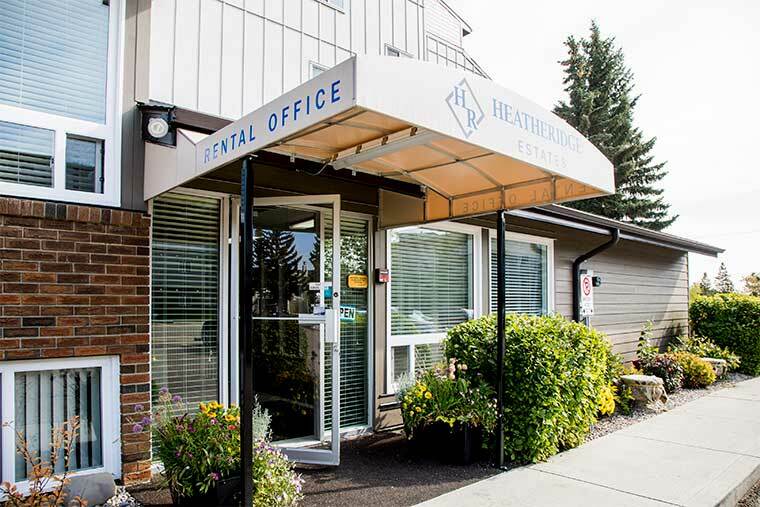 The Heatheridge Estates team invites you to come by the rental office and take a tour. Who knows, you may love the look so much, you might decide to make this your new home.